After hinting a new Mercedes license on Twitter last week, Sector3 Studios has now officially announced that they have successfully licensed the Mercedes-AMG GT3 to become part of the RaceRoom Racing Experience GT3 class. Together with the BMW M6 GT3 and the McLaren 650S GT3, the Mercedes-AMG GT3 now is the third new GT3 car in production for the RaceRoom Racing simulator. At this moment, Sector3 Studios did not yet reveal any details or release date. The Mercedes-AMG GT3 has become a very popular car in the sim racing scene, as the model was already introduced to racing titles such as Project CARS, iRacing, and Assetto Corsa. 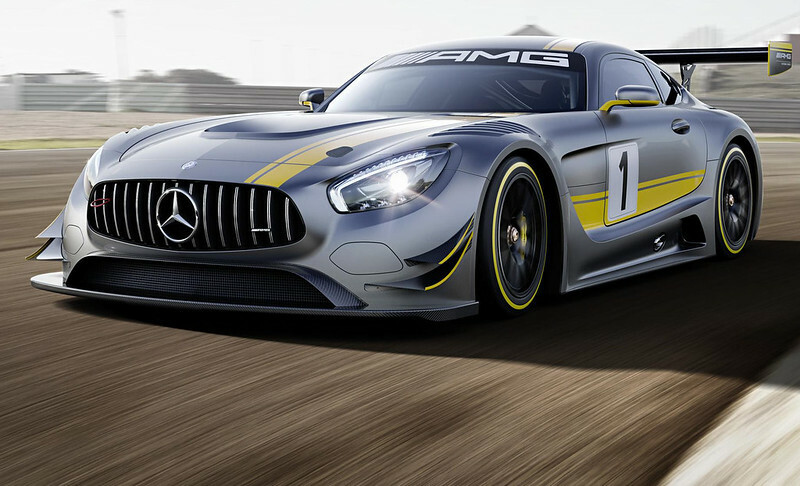 Mercedes -AMG presented their latest GT3 weapon at the 2015 Geneva Motor Show. The FIA GT3 compliant racer features a lightweight aluminum space frame and aluminum bodywork further supported by a selection of carbon fiber parts such as the regulation bucket seats, air intakes, aerofoil rear wing, and diffuser. Rather than re-engineering the AMG GT’s 4.0-litre Biturbo V8 engine, Mercedes -AMG decided to power the GT3 with the same and 6.2-liter naturally aspirated V8 that also served in the previous GT3 SLS model. Its 550 horses are transferred by a sequential six-speed competition gearbox, mounted at the rear axle.